I simply have to blog about, because in all of my cosplay-life by far, this has been the most exciting for me ever! Its the first time I went overseas to cosplay! Brought up Tristana's cannon as well as my Bazooka as well as 2 sets of costumes up!!! So I stayed at the Corus hotel, pretty small hotel but close enough to the KLCC, there were a pretty big group of us friends staying there so it was cool, I'd have breakfast with roomates in the morning and we'd all head out to the convention together after! The weather was soo insane, and I went to change out to >__<!! Met Jimmy Cometa and Tim and the Group of (cosfest chalet) friends too! Quite upset there wasn't any more decoration, will have to have christmas shoots in Singapore this year! There was this girl in a madoka cos giving out greentea cupcakes to other madoka cossers too~ Both my friend, Peiqi and I received cupcakes from her! It was good, not sure who she was though, thanks!!! 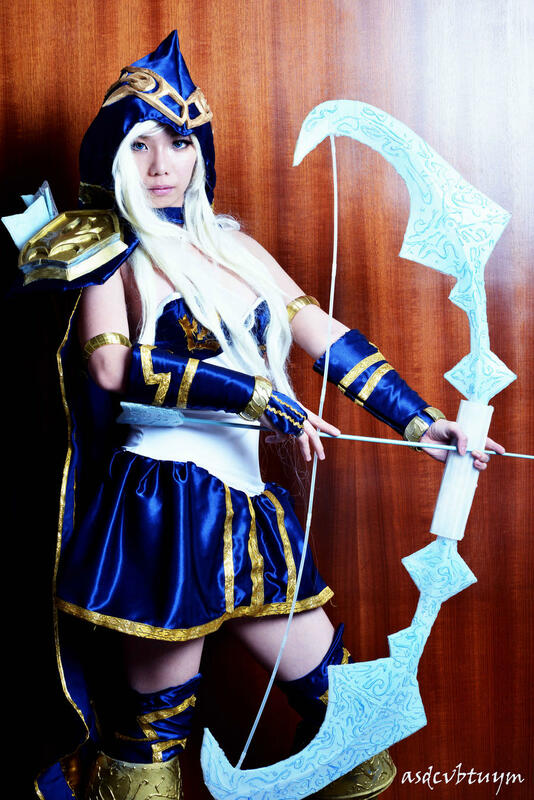 The plan for Day 2 of Comic Fiesta was Ashe from League of Legends. (as if you wouldn't already know lol) Angela and Yutong were doing the christmas skins of Tristana and Miss Fortune respectively! They both were so cute and adorable!! Met alot alot alot alot a tremendous lot of League of Legend cosplayers who are Mostly girls!! haha! So many malaysian girls in LOL outfits, who would've known the fandom here was soo intense! Coscard stash~ Hope to see everyone again and say hi! !